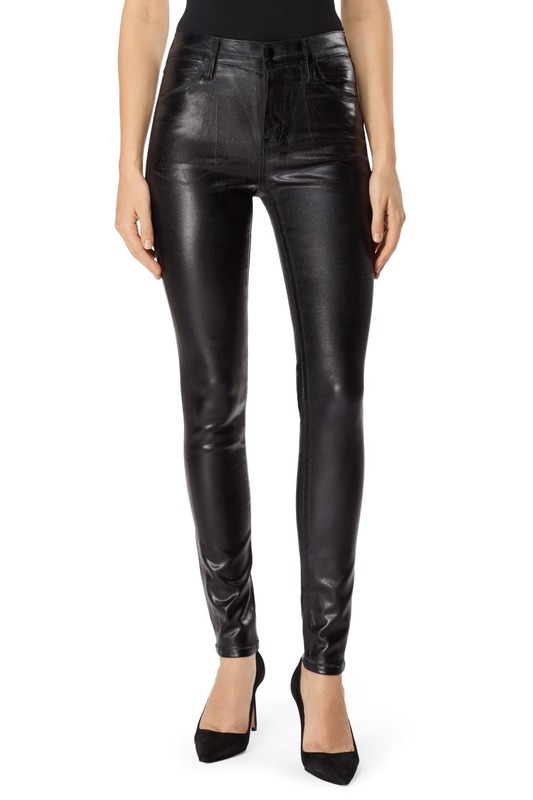 The popular Maria high-rise super-skinny jean from J Brand in an eye-catching, high-shine black denim sateen that goes well with everything and makes for a great dressy jean. The fabric is coated to give it the look of leather, but with a bit more versatility and wearability. The Women's Society Boutique in Hertford, United Kingdom.